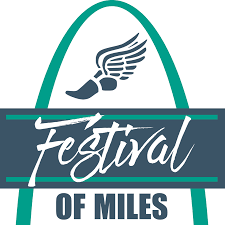 After each season several of the nation's top distance running talent makes the trip to St. Louis for the famed Festival of Miles. This is truly a PR Meet, as a lot of these runners don't get the chance to face competition at or above their level throughout their regular track seasons. It's a really great experience for athletes and fans to see these top level kids competing against each other chasing PR's. 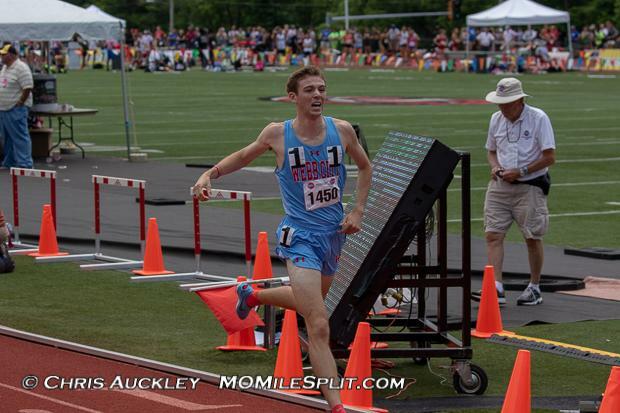 Missouri will be represented by Class 4 1600 & 3200 State Champion Ryan Riddle. Last weekend Riddle had a HUGE PR of 4:08.42 in the 1600, in a race where he was unchallenged from start to finish. Riddle will match up with Mason Gatewood (St. Anthony's - NY) who placed third at the New York Public School's State Championship last year and holds a Mile PR of 4:12. Also in the race is Carter Dillon of Mountain Vista, Colorado who holds a PR of 4:12. There's also a pacer, so we really could see Riddle achieve a decent PR tonight. Andrew O'Keefe crosses the river to join in on the fun, as well. 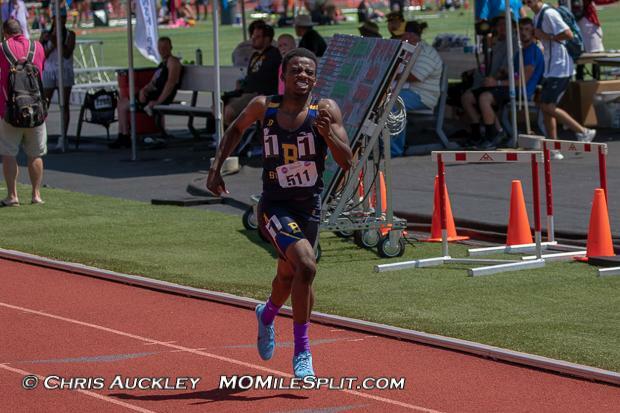 The Granite City (IL) junior is coming off of a second place finish at the IHSA 3A State Championship in his personal best 4:11.68. It was a narrow loss to superstar Dylan Jacobs, but O'Keefe proved he can compete with the best of them. Also from Illinois is Whitney Young's Samuel Rivera. Rivera makes the trip down from Chicago, bringing a 4:13.47 1600 personal best, to throw his name in the ring for the win, too. Scott Thompson will make an appearance, as well. The senior from Brentwood (TN) brings his own 4:11.43 season best to the party, but ran his personal best full mile of 4:08.22 at this Festival of Miles last year, taking second overall to his teammate Brodey Hasty. Hasty will not be competing here this year, but will instead be at the Music City Distance Festival on Saturday. Several other athletes from Colorado bring altitude converted times down from the mountains and should be in on the front pack action, with Ben Kelley, Easton Allred, Drew Seidel, and Caden Foster highlighting the Centennial State's contingent. Carter Cheeseman makes the trip of from Texas. After dominating the TAPPS scene, the junior from Fort Worth Christian brings a 4:14.76 that he ran at least year's Festival. He has run 8:54 for 3200 and 14:42 for 5K this spring and should be a formidable opponent even though he is somehow seeded last. Missouri is well represented in this race with Class 5 State Champion in the 1600 & 3200 Tori Findley (Blue Springs South), and Class 4 State Champion in the 800, 1600, and 3200 Mikayla Reed (Washington). Both Girls were able to achieve PR's in the 1600 at the State Meet last weekend. Findley ran 4:51.07 as she ran away from the field in Class 5. Reed ran 4:58.21 and also won in very convincing fashion. Madelynn Hill makes it three from Missouri as the Liberty junior will be looking to improve upon her 5:02.99 from last year's race and is coming off fifth place finishes in the 1600 and 800. Brentwood sends Beth Donnelly and Riley Coggin over for the race. Both girls have shattered 5:00 this season with Donnelly being the top seed with her 4:48.78 and Coggin being right in the mix with her 4:57.78. 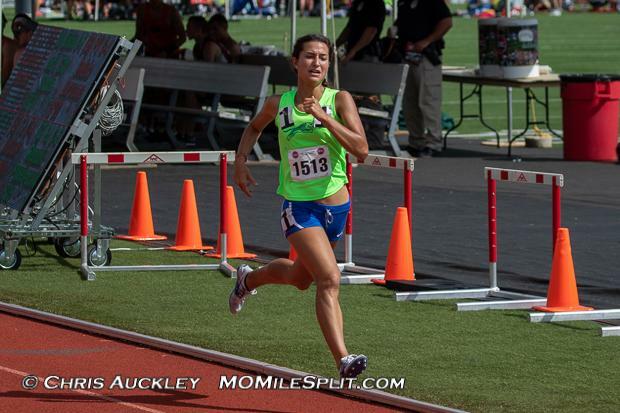 Adoette Vaughan of Hockaday (TX) has run 4:53.49 and will be a favorite to bring home the win, as well. 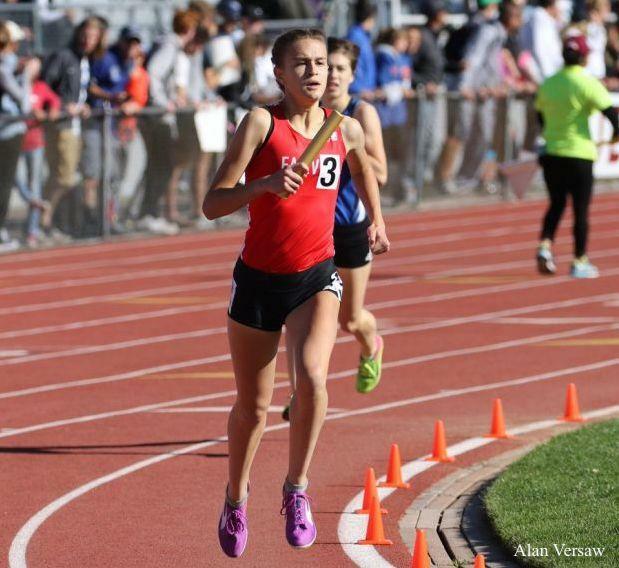 McKenzie Wilks heads east for the Festival of Miles. 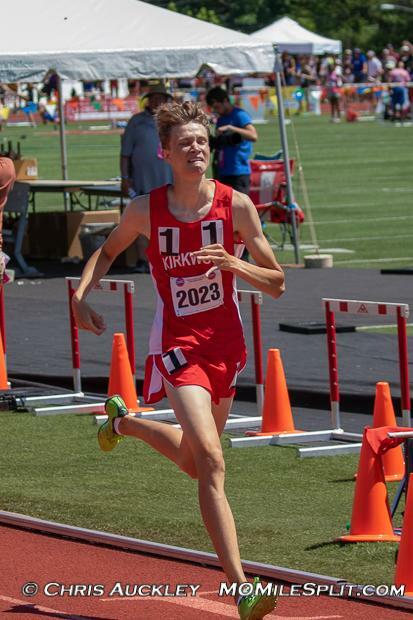 The Pittsburg senior ran personal bests in the 1600 (4:56.29) and 800 (2:14.04) at the Kansas state meet last weekend, winning both in 5A. Sophie Scott (4:59.12) and Olivia Markezich (4:59.51) are the other two of the eight sub-5:00 girls in the race, making tonight's mile hotly contested. Missouri will be represented in this race by Brandon Miller (John Burroughs), Martin Strong (Kirkwood), and Lazarus Williams (St. Louis University High). Miller is coming in after setting the State Record last weekend with a US No. 2 1:49.55. He'll be gunning for that US No.1 mark of 1:48.37 I'm sure, and I wouldn't bet against him. Strong is coming after winning the Class 5 800 with a new PR of 1:53.69. This sophomore was probably the biggest surprise of the season, and it'll be exciting to see what he does in a race with Miller. Lazarus Williams finished 3rd in Class 5 with a time of 1:55.60. Their main competition will be Austin Knight of Carterville (IL) who has a PR of 1:54.4 and was the runner up at his State Meet. The race is headlined by a number of the nation's best with Marlena Preigh of Fairview (CO) and Rachel Hickey of LaSalle-Peru (IL) bringing their respective US No. 8 2:09.19 and US No. 39 2:10.70 times to the field. 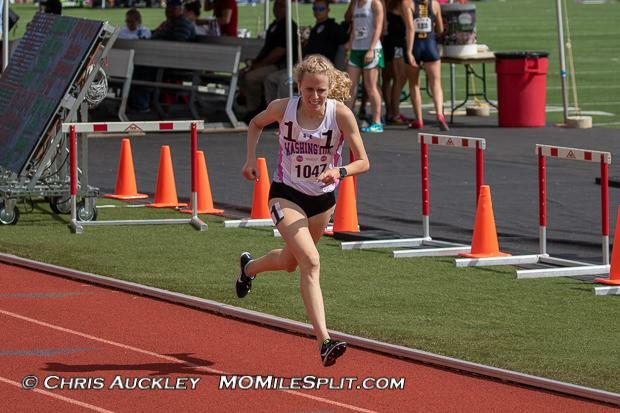 Jenks (OK) senior Ally Ryan won her state meet three weeks ago in 2:11.72, but will be looking to improve upon her 2:09.28 from last year. Neuqua Valley (IL) junior Mikenna Robinson is coming off of a 2:11.83 and third place finish in the 3A race at her state meet two weeks ago and will certainly be in the mix.